Dr. Welsing has lived in her NW DC home for the past 40 years. The Jewish Primary Day School (JPDS) playground was constructed and began operation in 09/2010. The playground was constructed immediately adjacent to her home. Prior to the construction, hearings were held with JPDS, Dr. Welsing and the Board of Zoning Adjustment (BZA) about the need for noise protection for Dr. Welsing’s home. The BZA mandated that a noise buffer of 15 feet from Dr. Welsing’s property line which included 40 ft. tall evergreen trees and other trees were to be added. The JPDS elected to bulldoze the existing line of 40 ft. tall trees and not put up any noise buffers. The playground area comes up to Dr. Welsing’s fence. Many people have personally witnessed the extreme levels of noise that enters Dr. Welsing’s property from this playground even when all of the windows and doors are closed. Dr. Welsing has to leave her home to escape the noise. There is no other residential home in the District of Columbia where a playground was constructed up to the property line of an adjacent residential home with this same level of noise disturbance. 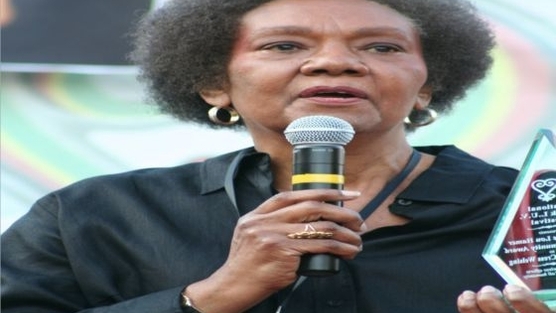 Dr. Welsing is a senior citizen and highly respected professional who deserves peace and quiet. Please sign the petition to support Dr. Welsing’s fight for justice. Speaking of Jewish, are they non-white? I get sooo confused about this. There are white people and white supremacists that practice Judaism. This is why I prefer to stick with non-black – it eliminates getting involved in how whites classify and reclassify as it benefits them. It also eliminates “testing” those who are non-white/non-black. Just my personal code. Note: Black for me is having two parents and both sets of grandparents of African origin. did you mean all black? or as you typed “non-black”? Maybe you mean “non-white”? she should get some artists to build the “noise buffer” out of materials that allow her to spell out the Cress Theory of Color Confrontaion in the direction of the school. I suspect the school will then build the “noise buffer”. In addition, before you start crying for Dr. Welsing, understand that school greatly increases the value of her house. Jewish school children next door will produced some mad equity for you. I don’t know when she bought it, but Do you guys know what her house is now worth thanks to Jewish school children next door? Maybe, Dr. Welsing is not concerned with making money (especially at her age) but only wants to enjoy the home that she has lived in for decades. Actually, that’s a pretty good suggestion. Perhaps you can contact her and make that suggestion since she knows you (or at least I assume she does). I wonder if Dr. Welsing can get any lawfirm to take her case pro bono-they have not abided by the agreement to build a buffer zone. And I wonder that those children are not in fact being incited to make so much noise-I know little kids can be shrill, but it takes a lot of lung power for the voices of such young children to carry like that-unless they are being TOLD to do it. She has a case since this is obviously affecting her health.